You are currently browsing the archives for the Dalai Lama Interview EN category. His Holiness the Dalai Lama: Usually our minds are attracted towards different objects. When this connection is cut, with more practice we’ll experience a sort of vacuity, which is the gap between the mind and those objects. By His Holiness the Dalai Lama at Dharamsala, India (Last Updated Oct 15, 2012). 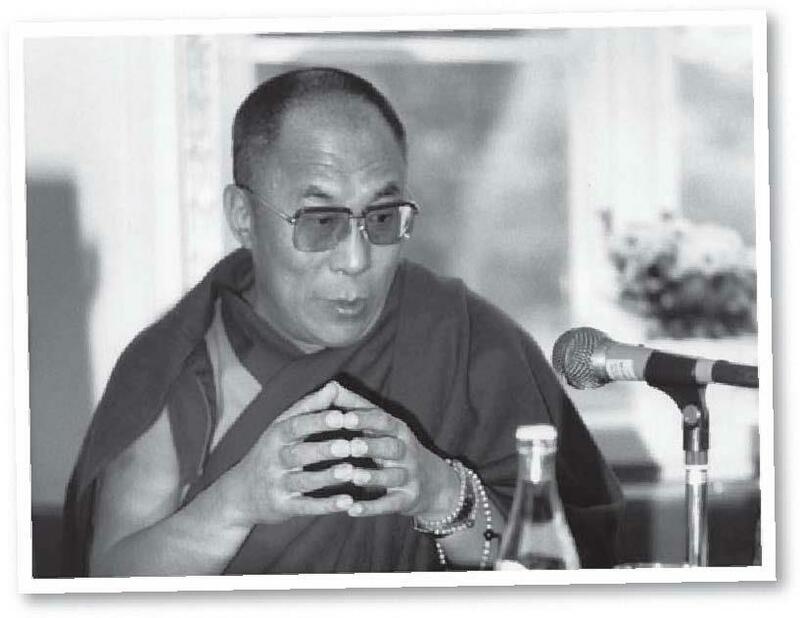 An interview with His Holiness the Dalai Lama in Dharamsala, India, on November 2, 1988. Lightly edited by Sandra Smith, October 2012. 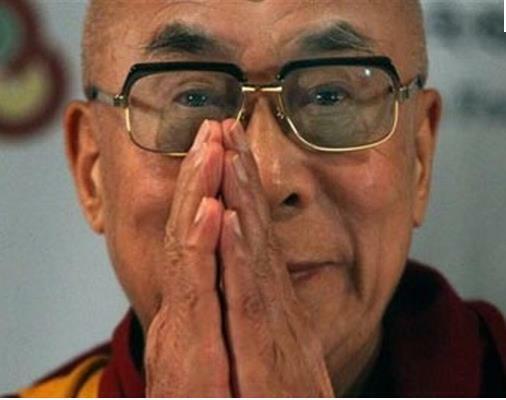 His Holiness the Dalai Lama: Greetings. I’m very glad to meet you as a Dharma friend. Dharamsala, India, 7th July, 2010. Transcript of the interview of His Holiness the Dalai Lama by NDTV presenter Barkha Dhutt that was originally broadcast on July 6th, 2010. The interview was conducted in front of a live audience at His Holiness’s residence in Dharamala, India, on July 4th, 2010. (View the video of the interview here http://dalailama.com/webcasts/post/116-in-conversation-with-the-dalai-lama) First Second part. Interview of His Holiness the Dalai Lama by NDTV presenter Barkha Dhutt that was originally broadcast on July 6th, 2010, View the video of the interview here http://dalailama.com/webcasts/post/116-in-conversation-with-the-dalai-lama Second part. NDTV: I hope you are never leaving Dharamsala and if you ever do it will only be to go to Tibet. 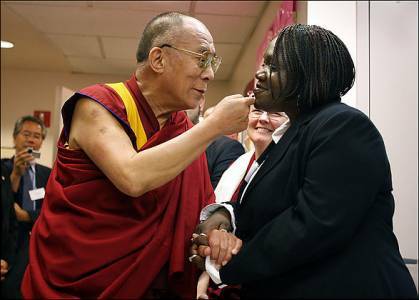 Time Magazine interviewed His Holiness in New York City in May of 2010 for its “10 Questions to His Holiness the Dalai Lama”. His Holiness the Dalai Lama: Greatest happiness? Many occasions. One I remember, the next day of my escape from Tibet. An Interview with His Holiness the Dalai Lama by The Emory Wheel. His Holiness the Dalai Lama: Let’s start! Andrea Jones, The Atlanta Journal-Constitution: I’m Andrea Jones, I’m with the Atlanta Journal-Constitution, a newspaper in Atlanta. I wanted to ask you, I know you’ve talked about the blending of modern science and Buddhist tradition. Can you describe what you think are the biggest benefits in the monks learning modern science will be and have been at this point? H.H. Dalai Lama: I am basically optimistic. And I see four reasons for this optimism. First, at the beginning of this century, people never questioned the effectiveness of war, never thought there could be real peace. Now, people are tired of war and see it as ineffective in solving anything. His Holiness the Dalai Lama: Politics and Environment. His Holiness the Dalai Lama: Politics and Environment. An Interview.